The terrace wall was designed by Robert Hooke in the 1670s for the 1st Lord Burlington's formal garden at Londesborough Hall. The arched alcoves may also have been deer shelters. 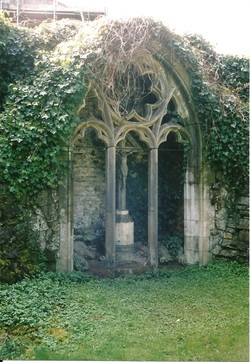 Near to Londesborough church is a small garden with a shrine enclosed in a church window.